Peel the sweet potatoes & cut into large cubes. Bake in a preheated oven at 200c on a lightly sprayed baking tray for around 25 mins until soft. Set aside to cool slightly. Meanwhile lightly fry the spring onions & spinach in spray oil in a pan until the spinach wilts down. Break the eggs into a bowl & season well with salt & pepper & grate about ¼ clove nutmeg into the mix. Beat the eggs with the milk well. 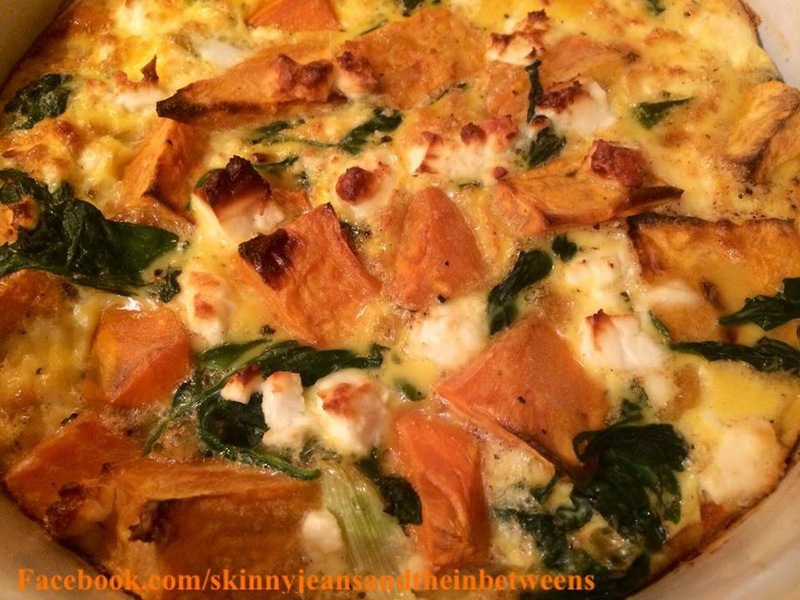 Layer half the sweet potatoes, spinach & spring onion & half the crumbled feta into an ovenproof quiche dish lightly oiled with spray oil. 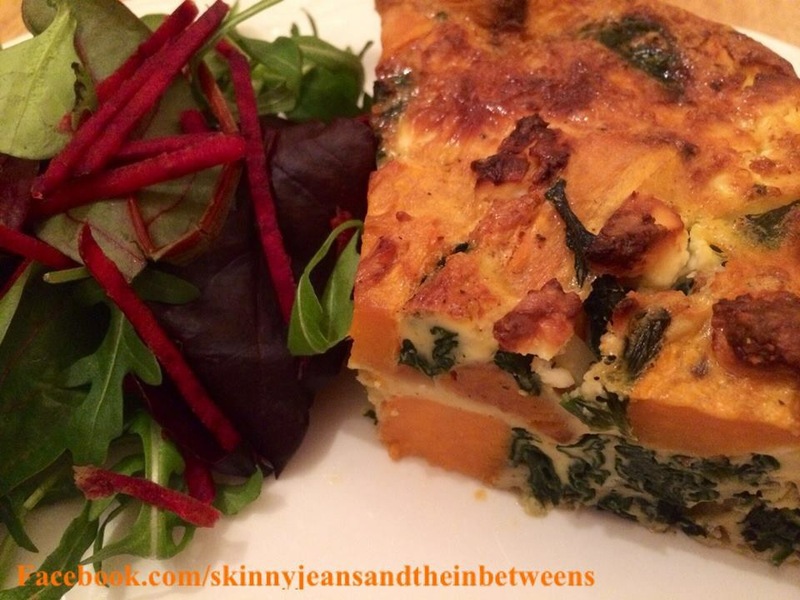 Add another layer of the sweet potatoes, spinach, spring onion & pour the egg mixture over the top. Crumble the remaining feta on top & bake in a preheated oven at 200c for approx 35/40 mins or until golden brown & cooked through. Slice, serve with salad & Enjoy! Can be eaten hot or cold. 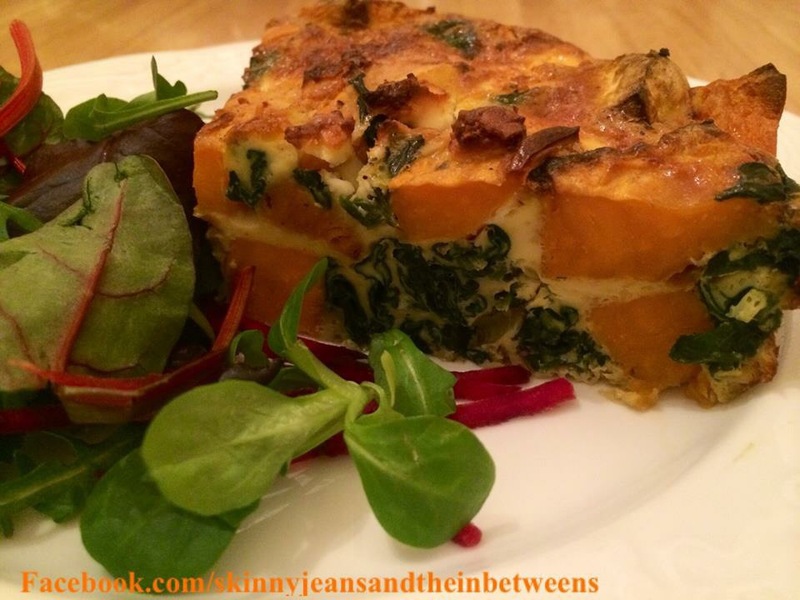 Love this idea – you can’t go wrong with a frittata and it’s filling too. Thanx for posting!